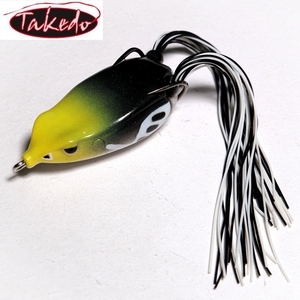 OEM Service If you don't find something you like, tell us your idea and let's turn them into the real lures. 1) Customized designs 2) Customized colors 3) Customized branding / logo / package As ideas come up to you, we make them into reality. 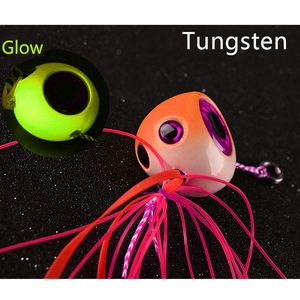 OEM Our main products include: octopus skirts, trolling lures, lead fish, soft baits, spinner bait tails, jigs, kits, rigs and many other accessories, thousands different specifications and colors. 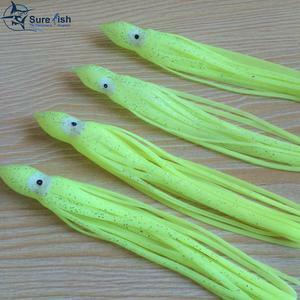 Specifications: 1.octopus soft plastic skirt fishing lures. 3.Hook:Japanese hooks and Chinese hooks are available. 4.Colors: Hundreds of colors are available. 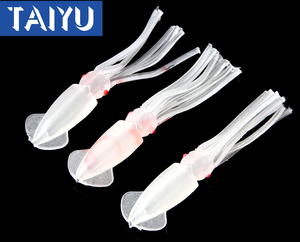 Lifelike style with live swimming posture, being more attractive to aggresive big fish. 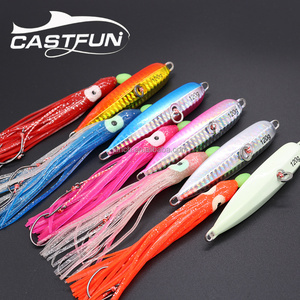 Q: Could I use my own logo or design on lures9 A: Yes, customized logo and design on mass production are available. Q: Can I choose the colors9 A: Yes, you can choose what is in color sheet, and customized color is also available. 2.) We have many long term cooperation express companies for your choose. 2.) we are a manufacture so that we can offer you the best service and after service. Our main business range includes the promotion of our own brands and OEM service. 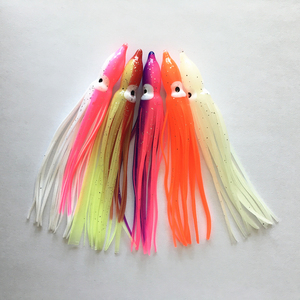 7" resin head bullet shape double skirt green machine trolling lure head color,bead color and skirt colore can be changed as you need. 2 YRS Triple Water (Shenzhen) Import And Export Trading Co., Ltd.
Alibaba.com offers 4,505 skirt lures products. About 92% of these are fishing lures. 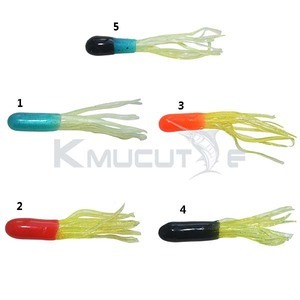 A wide variety of skirt lures options are available to you, such as free samples, paid samples. There are 4,505 skirt lures suppliers, mainly located in Asia. 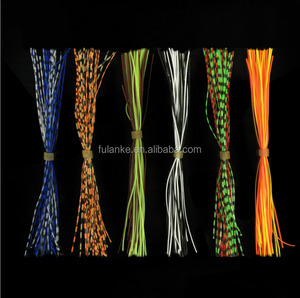 The top supplying country is China (Mainland), which supply 100% of skirt lures respectively. 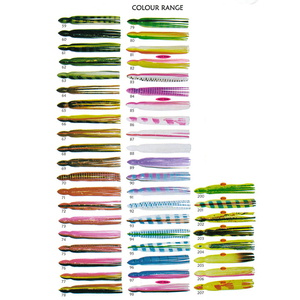 Skirt lures products are most popular in North America, Oceania, and Western Europe. You can ensure product safety by selecting from certified suppliers, including 1,320 with Other, 519 with ISO/TS16949, and 38 with ISO9001 certification.